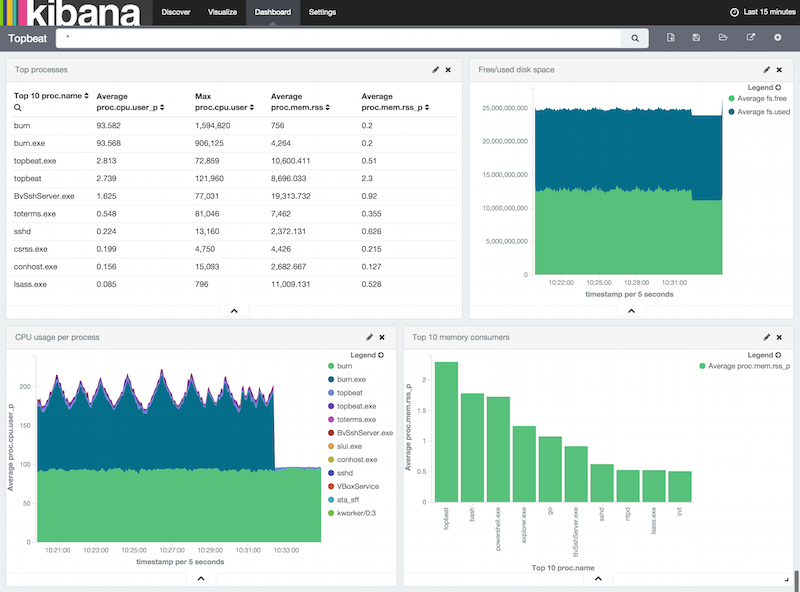 To make it easier for you to start monitoring your servers in Kibana, we have created a few sample dashboards. 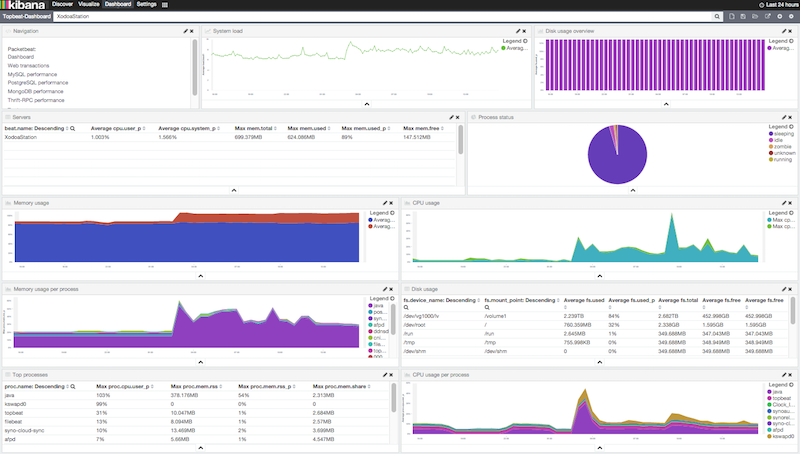 The dashboards are maintained in this GitHub repository, which also includes instructions for loading the dashboards. 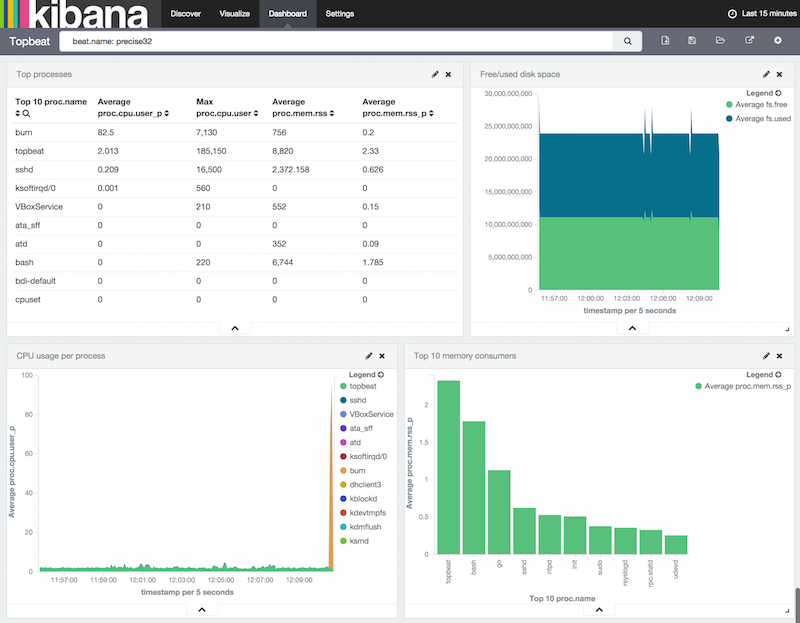 For more information about loading and viewing the dashboards, see Visualizing Your Data in Kibana. These dashboards are provided as examples. We recommend that you customize them to meet your needs.